To improve soil, plant health and soil balance to optimise production, it’s important to to identify the soil’s biological, mineral, chemical and physical requirements . 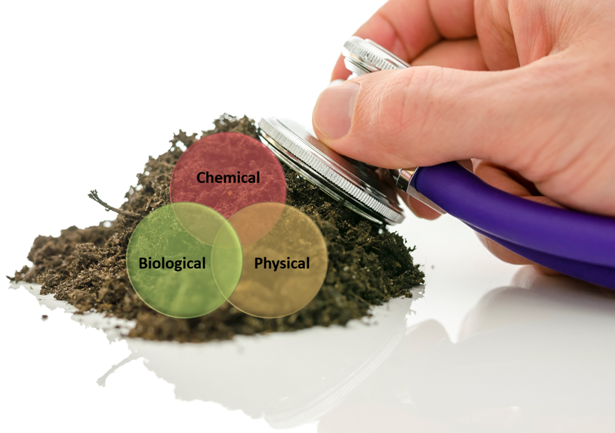 When evaluating the soil analysis, we look for synergies and approach mineral and microbe plant and pest management holistically to provide the formula for nutrient, trace elements and biological inputs to achieve true soil balance. We offer soil, plant tissue and Sap analysis as well as soil Biological DNA analysis that are delivered in a simple yet comprehensive manner. Morellofert, through Environmental Analysis Lab (EAL) use the Reams analysis method to assess the amounts of each element in the soil. Where the Reams test is unique is in its capacity to reflect and describe actual conditions in the field by using the “Morgan” extraction solution. The extraction solution contains weak organic acids, which closely mimic the acids plants release through their roots to dissolve nutrients and increase their availability. This analysis effectively measures the biological availability of these elements. The “Microbe Wise”Soil Biology analysis includes a unique Soil DNA Biological analysis to identify the most important and well recognised soil microbe groups. Microbe Wise measures living biomass of key microbial groups important to soil fertility and health.